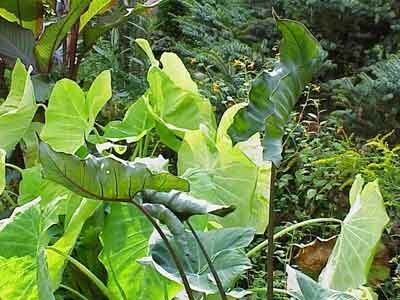 (Usually COLOCASIA 'Golden Delicious' or 'Chartreuse' in catalogues) Remarkable dramatic yellow "Elephant Ear" dramatic in any setting, whether an urn, a bog, or (in the very deep South) released in any moist area of your garden. 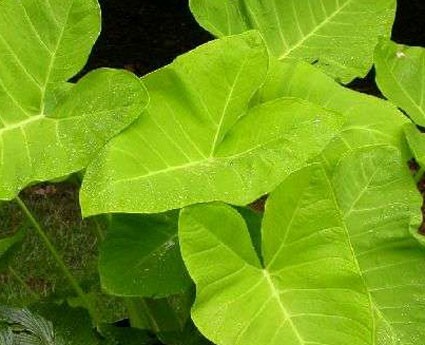 Requires full sun and constantly moist soil to maintain good golden ochre tones and reach its impresive stature. 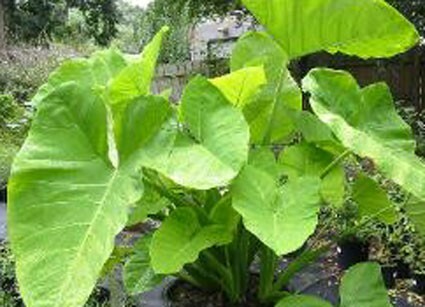 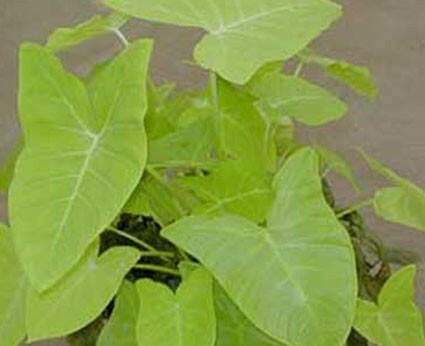 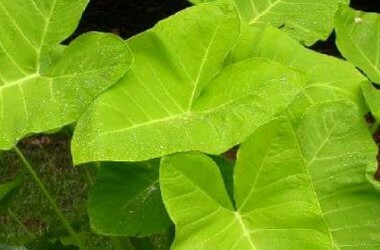 We've also offered this more accurately as Xanthosoma aurea 'Lime Zinger' at the end of this section of our website--these are ABSOLUTELY the same plant.